Hello and welcome to my blog. 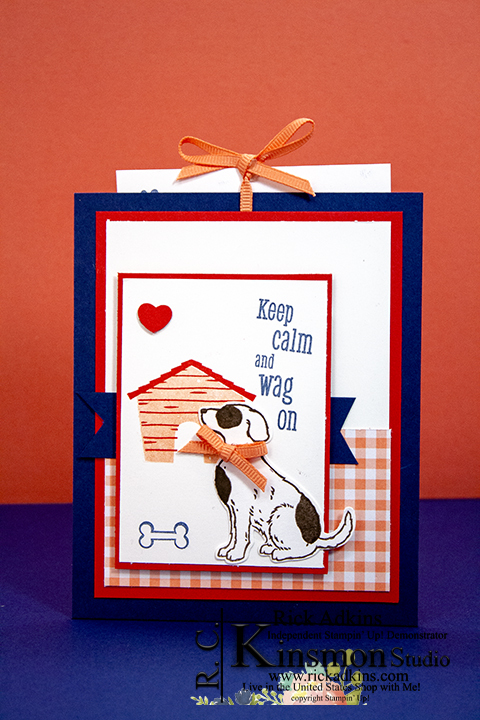 It's Wednesday and that means that it's time for this weeks Paper Craft Crew Sketch Challenge. 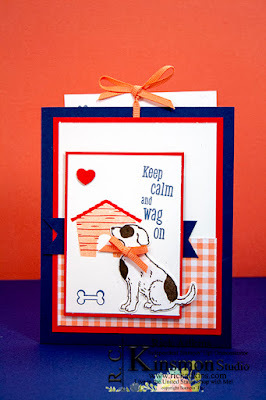 This week we have a really fun card sketch for you, I will share the sketch in just a few minutes. 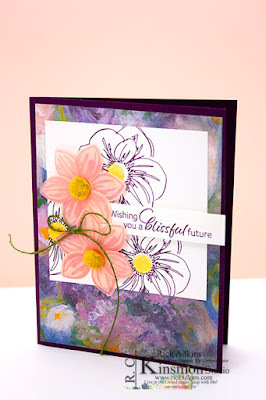 For my card I created a couple different ribbon slider cards for you to view. I saw this technique done a few weeks back and had to give it a try and it was perfect to show case my featured product of the week (the All my Love Designer Series Paper). 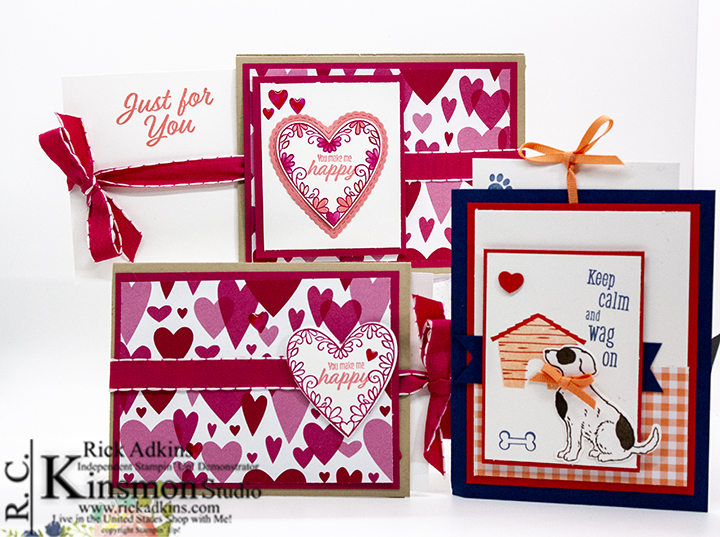 Here's a look at all three ribbon slider cards that I created. Here's a look at this weeks sketch. 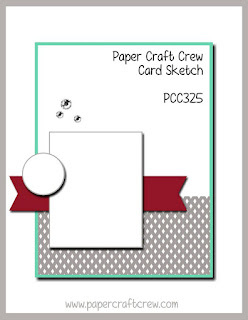 You can click on the image below to visit the Paper Craft Crew site to see what the other design team members created. If you are viewing this post before 5:30 am you will have to check back then to view what the other designers came up with. You would think just from looking at these cards that it would be really hard to create but you couldn't be any more wrong. It is really easy. 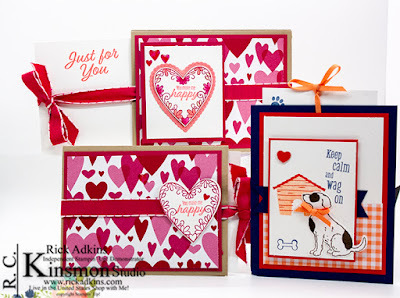 You will need a half sheet of cardstock; I used cardstock from the All My Love Cardstock pack for the Valentine card and Night of Navy for the Happy Tail Card. Once you have your cardstock you will need a piece of 5 1/2 x 8 1/2 scored at 4 1/4 and then scored at a 1/4" on one side. On the opposite side where you will cut off about 1/4". Then flip it to the long side and cut off a 1/4". 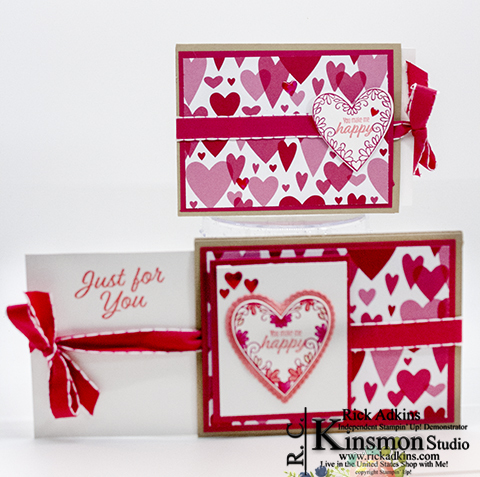 You will use tear & tape to put the card base together to make a pocket. If this is confusing you can watch the video below to see exactly how to put it together. The ribbon slider cards will fit into a standard medium A2 size Envelope, so don't worry about having to make anything special to hold it. Once you have the pocket created all you have to do is create the insert. Place it inside the pocket and use a ruler to make a mark the center of the card about 1" down from the top. Punch a hole through the pocket and the insert. Flip the insert where the holes will line up together. This is where you will add the ribbon. Tie your bow. 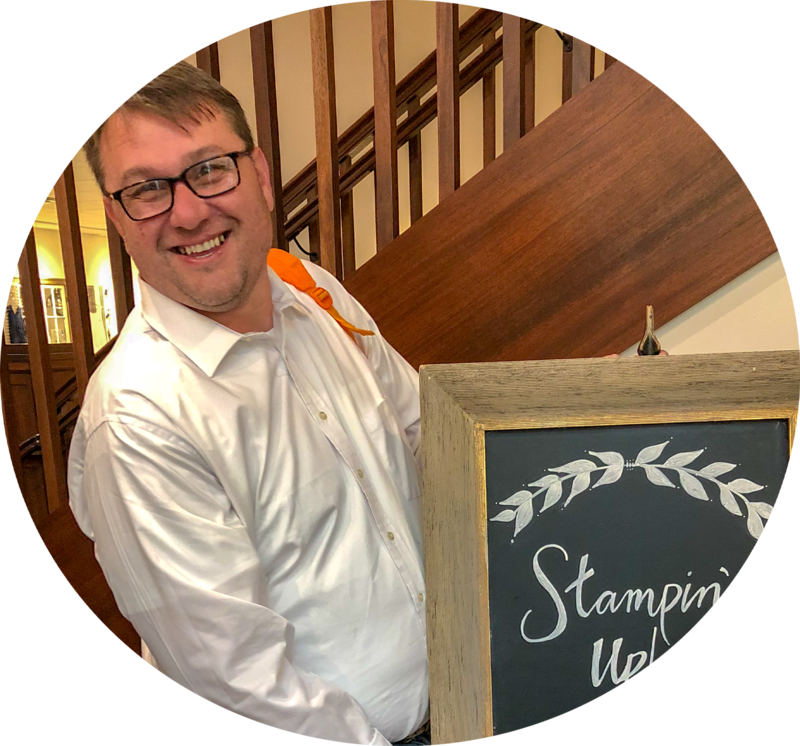 Add your stamped images or designer series paper making sure to leave the top of the front open to let the ribbon move freely (see the video for details). You can download a PDF instruction sheet for the All my Love Ribbon Slider Card here. Thanks for dropping by today I hope that you give this technique a try and that you play along with us this week. You will find a full list of the supplies that I used in the product list below.